Here's what I've been up to this week! First let me show off my newest item. Remember back when I told you how I keep making things smaller? 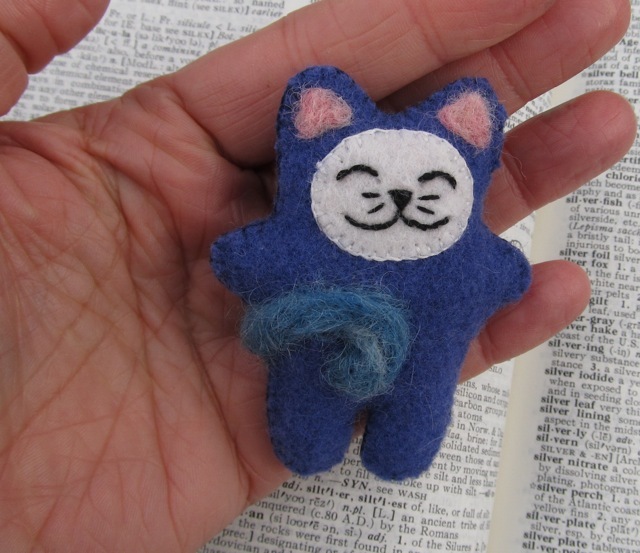 Well I've taken my Kitkin dolls and shrunk them down into cute little pins with needle felted tails. Here are a couple, there are more in the shop. What do you think? I also finished a couple of commissions. 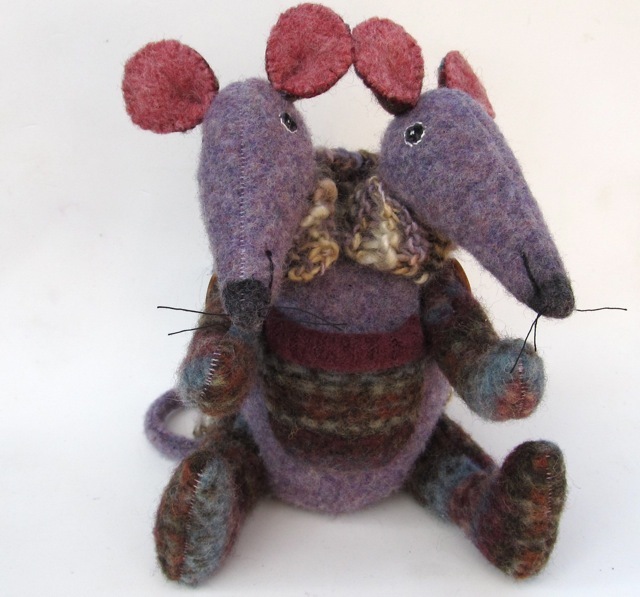 First a two headed rat...I love these... in fact I should finish another one up this weekend to add to the shop. 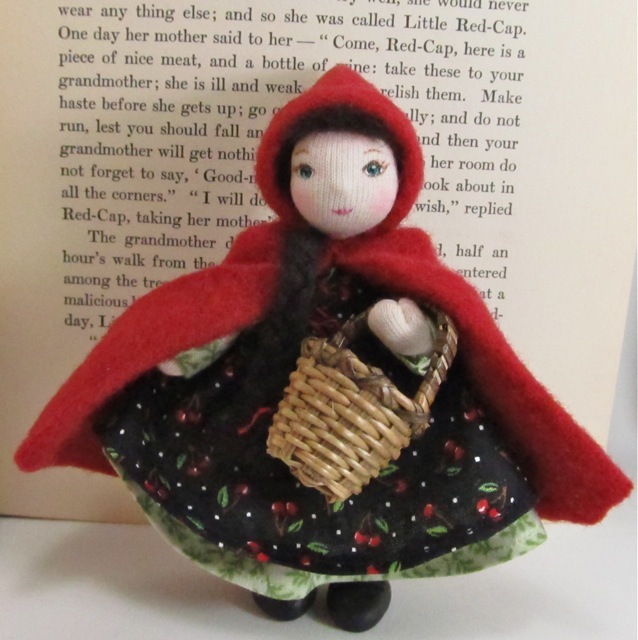 And second a little red riding hood doll. 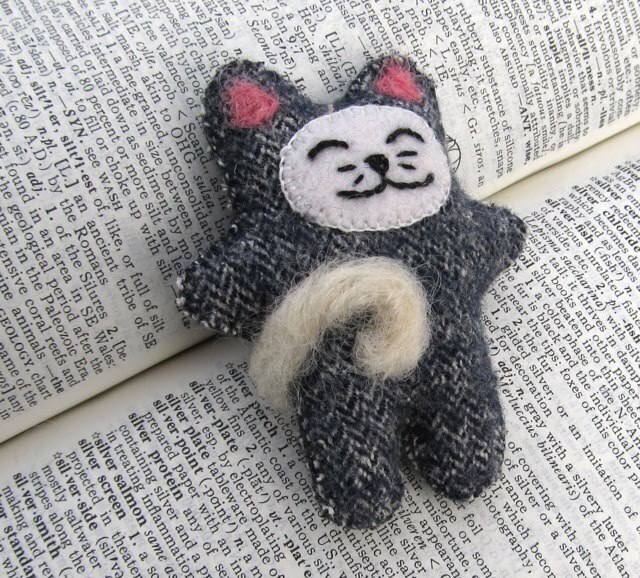 I'm hoping to make more storybook dolls next week...we'll see how it goes. This month has been a series of interruptions so I'm keeping my expectations low. How do you cope with those pesky interruptions that life throws your way? Co-incidentally, I read an interesting piece recently called 23 WAYS TO FIT ART INTO YOUR DAY By Lesley Riley. It was in the email newsletter from Dollmakers Journey. Well they are just the cutest...let me know when the rats are for sale...i have a friend who loves them. Fabulous Rat and now i want to add riding hood to my order!